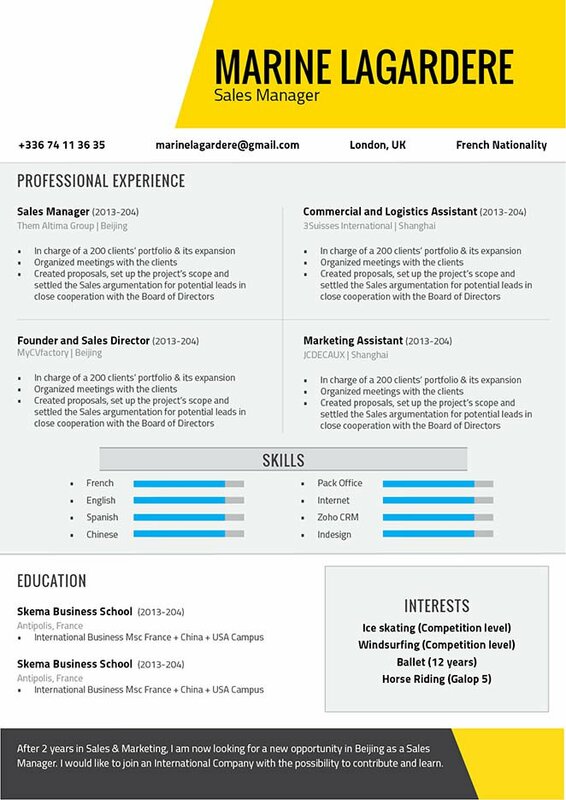 The originality of this CV lies in the photo and the general layout. CV template to download "Methodical"
The Methodical resume is a one of the greatest professional resume templates we have that can clearly present all the key parts of your cover letter to your potential employer. 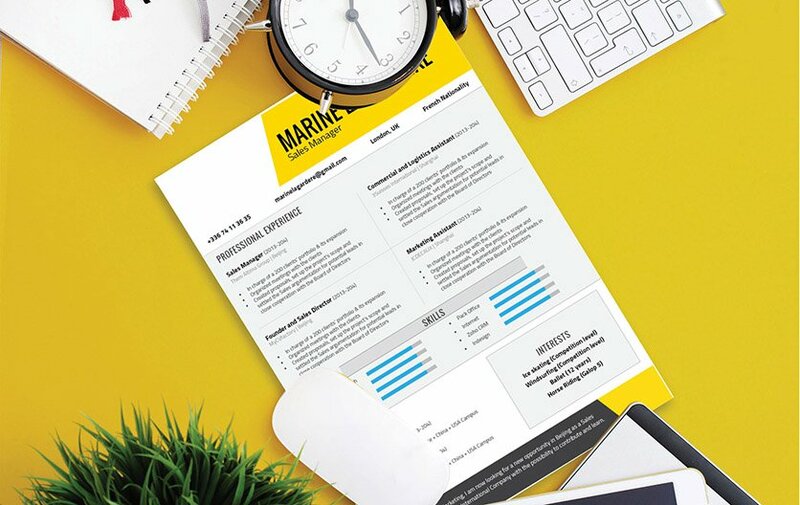 It features a selection of colors, texts, and graphics that work perfectly with each other to form a resume design that is eye-catching and easy to read. With its modern design, this resume template is perfect for any type of job you’re applying—rest assured that dream job isn’t so far away now! How to write an effective resume? It's easy!---A resume that has good and clear lay-out can greatly enhance your chances of landing that dream job! A major part of a resume that makes it great or even perfect is its overall lay out and format. Use professional looking fonts (e.g. Seriff fonts) to make your resume cleaner and more pleasing to the eyes. Your font size should be between 11-12 so it won't be too cluttered and it makes it easier for your potential employer to read. Use bold and italics to guide the reader's eyes to the key parts of your resume. Follow these simple tips and that resume of yours will surely get the attention of your potential employer!